Baccarat is a challenging casino game that demands skill, focus, and attention. It’s immensely enjoyable, and offers players the opportunity to explore a different casino game from the more popular table games and slots. Baccarat has enjoyed its own level of fame, having been featured in several films. So, be part of the gaming elite when you take a chance at this vintage casino game. As many table game fans aren’t necessarily familiar with how to play baccarat, we’ve created a helpful guide to teach you how. Below US gamblers will not only learn how to play, but also the aim of the game, the odds you face when playing, as well as the best places to play! Baccarat is played around a table with numbered seats. These help the dealer keep track of the buy-ins. It is played with six to eight decks of cards (standard 52 card decks), depending on the variation. Decks are shuffled before each new round. Players place their bets to start off the round. Players can bet on either the dealer, or the player having a higher hand. After the bets are placed, both the dealer and player receive two cards with the player receiving their cards first. If it was a deuce or three, the banker will draw with a hand total between 0 and 4, and stand on a hand total between 5 and 7. Alternatively, if it was a four or five, the banker will draw if the hand value is between 0 and 5, and stand with a hand value between 6 and 7. If it was a six or seven, the banker will draw with a hand total of between 0 and 6, and stand with a total of 7. Then, if it was an 8, the banker will draw with hand total between 0 and 2 and stand with a hand total between 3 and 7. If it was an Ace, nine, ten, or any face card, the banker will draw with a hand total between 0 and 3, and stand with a hand total between 4 and 7. When all the cards are dealt, the final hand is totalled. If there’s a tie, no-one gets paid. Picture cards count as 0. Number cards all carry their face value. If the card total is in double figures, then the first digit is dropped. For example, 13 will become 3. The objective of baccarat is to score a winning hand over the dealer’s, and not get a tie. The winning hand is calculated as scoring nine, or being as close to nine as possible. The casino software calculates the scores for you, so simply sit back, relax and enjoy. We don’t really believe in baccarat strategies, but there are a few tips and tricks to keep in mind when playing this exciting card game that may make your session more fruitful. Don’t Make Too Many Tie Bets – although the odds may seem tempting, tie bets almost never pay out. Yes, if you win, you are assured a good payout. But, if not, that’ll be a load of your bankroll wasted very quickly. Keep Sessions Short – there really isn’t a pattern to baccarat like there are in other popular card-based table games. Thus, we recommend that if you stacked up a few good wins and hit a loss or two that you just step away with the winning you’ve already made. Bet on the Banker… – yes, betting on the banker provides players with lesser gains should they win. However, this isn’t necessarily a bad thing as betting on the banker’s hand is a safer bet as it’s more likely to register some good cash prizes over time. …Until the Banker Loses – if you’ve been playing for awhile and the banker suddenly loses, sometimes it may prove beneficial to bet on the player’s hand. As stated previously, there aren’t really patterns in baccarat but often betting on the player after such situations results in a win. Know Your Limits – just as with any gambling game, it is important that players understand their limits. Should you lose your entire bankroll while playing baccarat, do not attempt to chase your losses. You may just land up losing more cash than you originally did. Baccarat provides players with some pretty good odds, which is why we at Golden Riviera Casino often recommend the game to players looking for some consistent wins. Just remember that a game’s average odds aren’t an indicator of how many times you will win during a particular gaming session. Ultimately, we recommend that players bet on the banker’s hand more often as they are more likely to have the winning hand. Below are the odds players will usually find on baccarat games at both online and land-based casinos. Golden Riviera Casino showcases the most rewarding online casinos with the best online baccarat. The casinos we recommend all have authentic tables, laid out with the most realistic graphics and images. Take a chance at an exciting, scintillating casino game where anything could happen and massive jackpots are up for grabs. 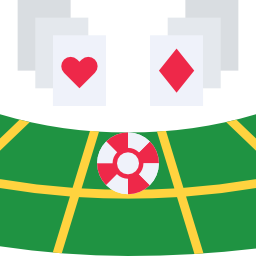 Playing at a casino online has many perks that players wouldn’t experience at a land-based casino. Online casino bonuses and promotions are one of the best benefits you can get at a trusted online casino. These give players free money to play their favourite casino games with, upon meeting certain real money deposit requirements. The best casino bonuses online usually contain free money and some free spins to use on a selected online slot machine. So, not only do you get to play for longer, but you also increase your chances of winning that big jackpot you’ve been waiting for. The online casinos showcased on our casino website are all real money casinos that have the best casino bonuses and promotions. Be sure to select one with bonuses and promotions that suit your playing style. Some will offer more free money through matched deposit percentages, while others will offer more free spins for players who enjoy online slots more.